Forget limos and minibuses — on this unique wine tour, you can visit the wineries of New York's Finger Lakes wine region by boat. 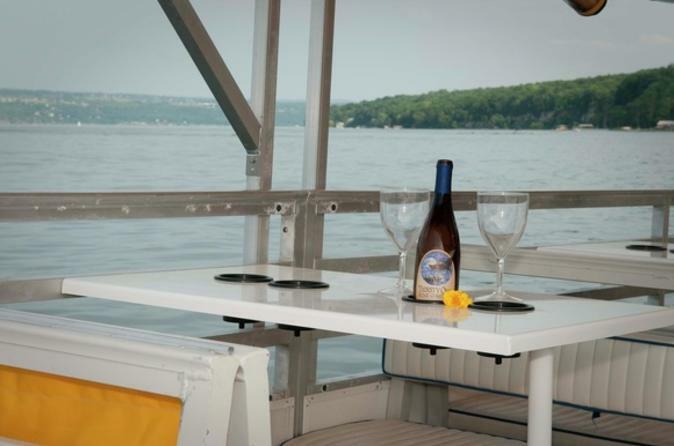 During a 6-hour Cayuga Lake cruise, you'll be pampered by an attentive crew as you make your way to four wineries such as Sheldrake Point or King Ferry. Enjoy wine tastings at each stop, and enjoy a relaxing day on the scenic, glacier-carved lake. Numbers are limited to six passengers to provide a small-group experience.